The China Securities Regulatory Commission (CSRC) said it would ban Dagong Global Credit Rating Co Ltd, from taking on new securities rating business for a year. 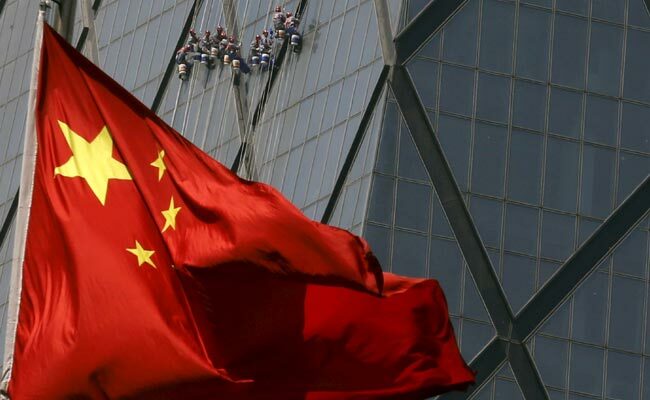 One of China's biggest debt rating agencies has been punished by the country's securities regulator and a supervisory group under the central bank, in a rare rebuke that underscores Beijing's concern about credit risks at a time of slowing economic growth. China's credit ratings industry has a reputation for providing favourable ratings for local issuers, downplaying risks, even as some international watchdogs warn debt is at levels that could trigger a financial crisis. The China Securities Regulatory Commission (CSRC) said on Friday it would ban Dagong Global Credit Rating Co Ltd, one of the country's four big bond rating companies, from taking on new securities rating business for a year, and forbade it from replacing senior management during that period. That announcement came after the National Association of Financial Market Institutional Investors (NAFMII), an official industry group under the arm of the central bank, said it would suspend Dagong's business around debt-financing instruments for non-financial firms, also for one year. The CSRC also criticised the company for poor internal management, unqualified management and assessment committee members, and missing modelling data. NAFMII said Dagong had provided false statements and information when NAFMII was investigating Dagong's business practices. "Credit ratings agencies providing consulting services to companies seeking ratings seriously deviates from the principle of independence, and is prohibited by the relevant regulations of the interbank market," NAFMII said in the statement. Dagong "violated industry norms, business rules and basic compliance requirements and caused serious adverse effects on the market," it added. But the CSRC restriction targets Dagong's core business. An executive at a local asset management firm said freezing Dagong's ratings business would leave it "almost bankrupt." "Risk differentiation is increasingly difficult in China, which could hamper investors' confidence," said Gary Ng, an economist with Natixis in Hong Kong. "This is not desirable as China needs the bond market more than ever to fund the upcoming fiscal stimulus. Any credit event created by underestimation of risk could worsen risk appetite of investors, and (lead to) a higher yield and funding cost for both local governments and corporates," he said. Dagong is one of China's most prominent ratings firms, and has achieved some recognition outside China for its controversial sovereign issuer ratings. In January, Dagong cut the sovereign ratings of the United States to BBB+ from A-, equivalent to those for Peru, Colombia and Turkmenistan, citing concerns that tax cuts could weaken Washington's ability to repay debt.